As you know I am a fan of Amy Einhorn Books, and have featured the books in the imprint every Friday since January 2010. In the coming months, I'll review all the titles and will keep you informed of new books as they become available. Don't forget that it's never too late to join the Amy Einhorn Books Perpetual Challenge. Watch this space next Friday, when I will introduce you to another imprint that has caught my eye. Perhaps because I'm an industry professional (albeit freelance), I have always paid attention to imprints and the editors behind them. When I find an imprint that seems to fit my tastes, I get fired up to learn more and read more. Yesterday when I posted my review, I realized that I had read through the complete first season of Pamela Dorman Books, an imprint of Viking/Penguin. I enjoyed all three books and and plan to read whatever Dorman publishes next. "The Book of Fires grabs you from the very first paragraph." "Beth Hoffman created a heartbreakingly real world in her novel Saving CeeCee Honeycutt." 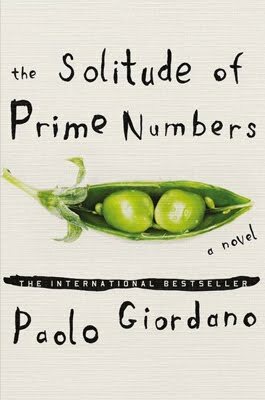 "In The Solitude of Prime Numbers, Paolo Giordano explores the other worldliness of being different, the eeriness of having parents who don't know how to nurture, the meanness of teenagers, and the confusion of awaking sexuality. " Melissa Lynn Jones's Emily Hudson takes place around the time of the Civil War, Adrienne Mcdonnell's The Doctor and the Diva is set in the early 1900s, and Carey Wallace's The Blind Contessa's New Machine takes us to the early 1800s. All three feature strong women and two are based on true stories. Looks a great list for the historical fiction lover (that's me!). Do you follow imprints? Have you even thought about them? If your answers are no and no, I hope that I can help make you more aware of imprints in general and more familiar with some of my favorites. Information like this is one of the reasons I like your blog so much! After you tipped me off to Amy Einhorn, I realized that I had read and really enjoyed many of the books in the imprint, and now I'm keeping my eyes open for new ones. Now this is another imprint to add to the list! It's great you're giving Pam some well-deserved kudos. I was lucky enough to have her edit my first novel. She's the best! I appreciate your awareness of editors and the important role they play. Too darn funny that you posted this today. I was just thinking last night that I was loving this imprint!!! Hmmmm.....do I dare suggest another challenge? I was just looking up more info this morning on The Doctor and the Diva for reviewing it and it said Pamela Dorman books in parenthesis and it confused me. So I looked her up and realized who she was, so that's funny you posted about this today. I really never paid too much attention to the imprints until recently. Probably not until Amy Einhorn and Reagan Arthur were brought to my attention. But I was also trying to understand how other publishers work because a lot of times they only refer to the imprint rather than the overall publishing house and that used to confuse me too. I think I've figured it out now, and with that and reviewing books for different publishers/imprints I pay a lot more attention to it! But it looks like she has some good books! I'm really looking forward to The Doctor and the Diva. It's all your fault that I even know who Amy Einhorn is! I don't think I have ever knowingly followed a specific imprint, although I have added all the Amy Einhorn books to my TBR list, and I have several of these on the list as well. I never really paid attention to imprints (or even publishers) before but now you have me paying attention to it. I don't really follow imprints, though I wish I were! Kinda nice to see a pattern in the books I read. This one also looks like an imprint I will enjoy. Thanks for doing this! I have read both CeeCee and The Book of Fires and both were wonderful. So far, I have had good luck with Pamela Dorman! After reading, and madly loving, both THE BLIND CONTESSA'S NEW MACHINE and THE DOCTOR AND THE DIVA, I've started to pay attention to the Pamela Dorman imprint.